gaming entertainment to over 160 locations across Tasmania. a variety of community initiatives and local organisations. Located in 96 venues across Tasmania. Find out what’s on offer at your favourite venue. We are the people who bring gaming entertainment to life. We will be Tasmania’s preferred gaming services provider by creating innovative, valued outcomes and long-term relationships with our patrons and business partners alike. Network Gaming was established in 1996 to manage the distribution of Gaming Machines and the game of keno in hotels and clubs throughout Tasmania, operating under the OASIS and TASkeno brands. With our head office in Sandy Bay, Network Gaming employs over 30 people and has training centres in both the North and South of Tasmania. 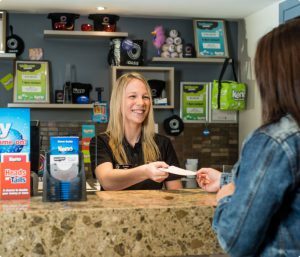 Through the operation of Oasis and TASkeno, Network Gaming support the employment of a further 3000 Tasmanians who work in the many hotels and clubs across the state. Our vision is to build strong relationships with our venue partners and customers. This is achieved by our professional staff supporting the hotels and clubs across Tasmania through the Customers Development team, Operations Centre and Training Department. We have a genuine commitment to ensure a well-managed sector with low levels of problem gambling. Network Gaming operates under strict State licensing regulations and has a proven track record monitoring Gaming in Tasmania.